I am hype that I have been featured in Malaysia Asia's blog! Check out for more Malaysian Travel blogger by clicking the Bold Italic words above!! As I know, three out of the list are from Sabah. (including me and Diana who is my friend was featured too!). Lastly, not forgotten Malaysia Asia by David Jr, an informative travel blog with a lot of interesting places that has been visited! Awesome travel blog site he got! Check it out - here! I am so a wow! Fantastic news and congratulations! 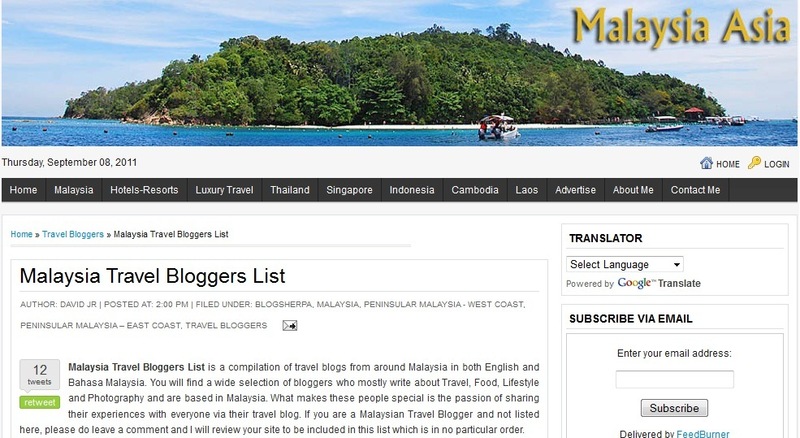 It's great to see other Malaysian travel bloggers around here! Keep up the great work!